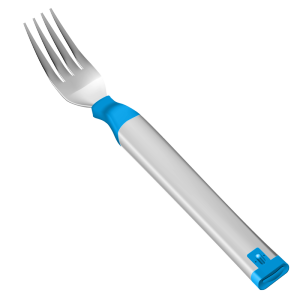 What’s a HAPIfork? The $100 HAPIfork was announced at CES 2013 and received wide media coverage ranging from Tech Crunch to Consumer Reports to ABC News and beyond. The chunky techno-fork lets you keep track of how many bites you take and how fast you take them, encouraging you to slow down your pace of eating. Why slow down? Andrew Carton, president of Hapi Labs tells us that “eating too fast and insufficient mastication has been tied to all sorts of problems, including acid reflux and weight gain” (PC Magazine).